House is exceptionally tidy and we need housemates to suit. Must also be respectful and working. Transport isn't the best unless you like busses. If you have a car the train station is about a 5 minute drive. Looking for $180 per week including all bills. Couples welcome which we would be asking $270 per week. The property is a large 5 bedroom, 2 bathroom with 4 living areas and a massive outdoor entertaining area so there will be plenty of space and privacy. The house is furnished and queen beds in the 3 spare rooms. You're welcome to bring your own bed and we can put our bed in the study. There is also a pool table room with a bar and bar fridge. Ping pong table in the garage. You will be sharing the main bathroom with one other tidy male. We may look into another person at a later date but would probably prefer a couple. Myself and my partner are in the master bedroom with the en-suite on the opposite end of the house so will not be in the way. 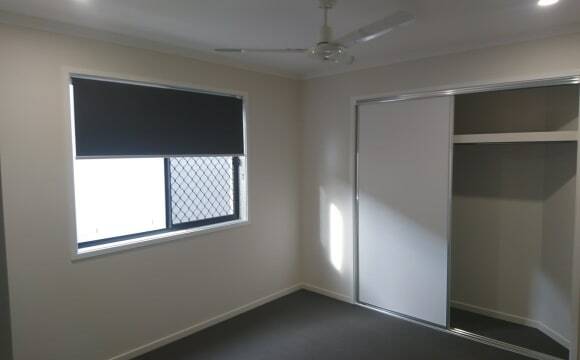 Walking distance to Coles, 7/11, cafes, medical centre pharmacy. 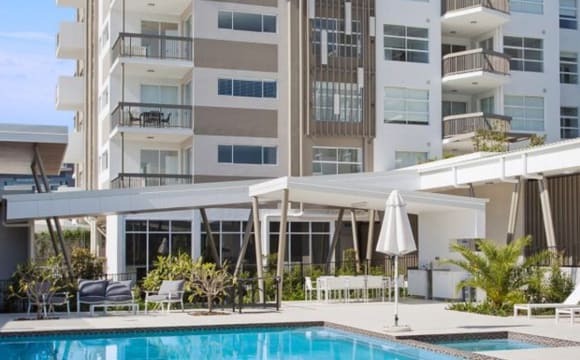 Easy access on and off to the M1 35 minutes to the cbd 20 minutes to the airport 5 minute drive to the new train station 8 minute drive to north lakes Westfield 50m stroll to a walking track along the river. The property is a 3 minute drive to Coles and other various shops. There are bottle shops, service stations and gyms located also 3 mins away. Great spot in a quiet street. 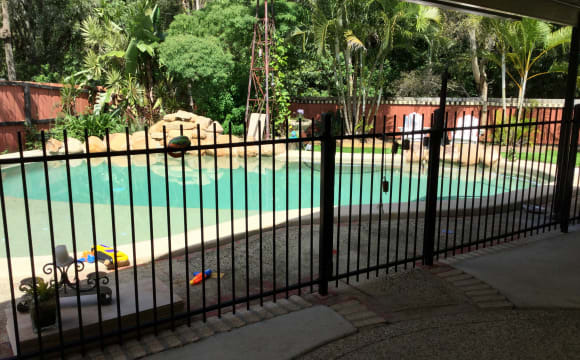 800sqm block so plenty of backyard to enjoy in summer. Quiet modern house in quiet street. Bus stop 5 mins walk away. Shops 10 minute walk. Motorway 5 minute drive away. 2 living areas. Own bathroom. The house is fully furnished, ready for you just directly move in! FEMALE ONLY, no pet, no smoker, no party! You are welcome to contact me if you have JOB/STUDY. 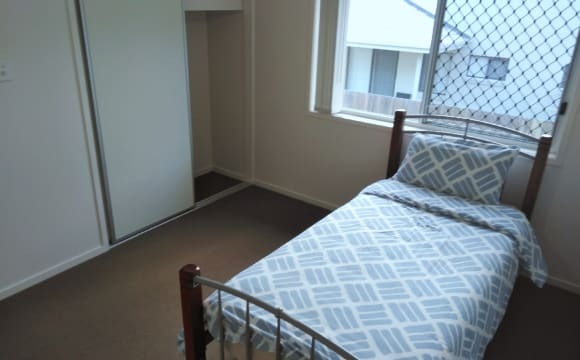 Price: $140 per week INCLUDEDS bills, unlimited Telstra WIFI. About the room: spacious room includes celling fan and cabinet. Location: Woolworths, coles, ALDI supermarket, Mcdonald's, Hungry Jack, library are nearby, Westfield North Lake just 5 min driving distance. Parking: street parking, , safe to park, with street camera. Public transport: Bus stop within short walking distance. If your are interested please contact me. It’s nice and quiet here. So close to north lakes shopping centre and has some great walking tracks. There is a gym located directly behind the complex and also a cafe 63. About 30 mins to the city and very close to the highway and train station. Quiet neighborhood. Close to bus stop, shops and highway. TV Entertainment / PS4 to share. Your own bathroom. One year new townhouse. I like to keep things clean and tidy. Very fast internet. Home is big, so dont worry about feeling cramped - multiple living rooms with separate tvs, big fully equipped kitchen. You wont be expected to do anything, except clean up after yourself. All bills are included in rent. No contract. Can move in when you want, and move out when you want. Come and go as you please. Use the air con whenever you want. We have Netflix and Stan. Room comfortably fits a queen bed, has bulit in wardrobe with mirrors and ceiling fan, and near new dark carpet. Have guests over if you like, we just dont do partys. Can walk to everything! Uber eats is definately good here too. Clean, tidy and spacious townhouse close to train station. Walking distance to Woolworth, Aldi and local shops. Non-smoker or pets allowed. Furnitured room. Pool and all bills included. Nearly new townhouse and only 25 mins to airport and to city. Ceiling fan in bedroom and air con in lounge. There is parking on the street and area is quiet. Access to swimming pool. Own bathroom apart from having to share when visitors stay. Really handy, short walk to train station, bus stops &amp; shops. Close to North Lakes shopping center. Our home is in a quiet, well established suburb, private &amp; secure. We have air-con, an outdoor spa &amp; lovely outdoor BBQ area. 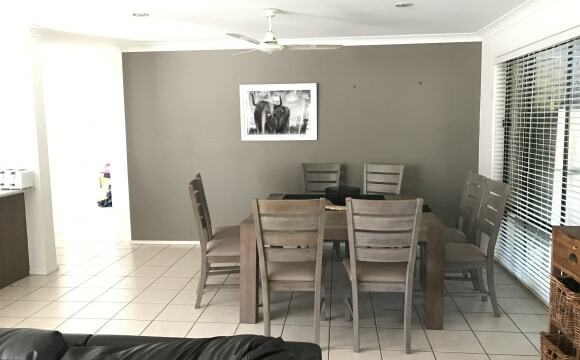 Very spacious, private 3 bedroom house in great area near highway with small commute to everywhere in North Brisbane. A short drive to major shopping hub of Northlakes. Surrounded by beautiful parklands and in close proximity to all your needs. Air conditioning in house for those hot days. Foxtel to main lounge. Short walk from Westfield’s,5 minutes to North lakes Bus station, Free use of the swimming pool and gym. Secure and quiet complex. Air conditioning in main living area and ceiling fans in bedroom. Internet available!! You will be in a positive environment where if you want to interact with me. You will have the option to. If you want to be private. You have the option to. If you want to explore the nightlife. There are a number of places in the north lakes region which is booming with developments. The train station and bus stop nearby. Redcliffe is 10min away. I study and read a lot because I study at QUT as well. I am an aspiring entrepreneur. It would be a bonus to find people who would like to congregate and learn a thing or two about each other. But if not. Like I said before you can do what you want but just be respectful. 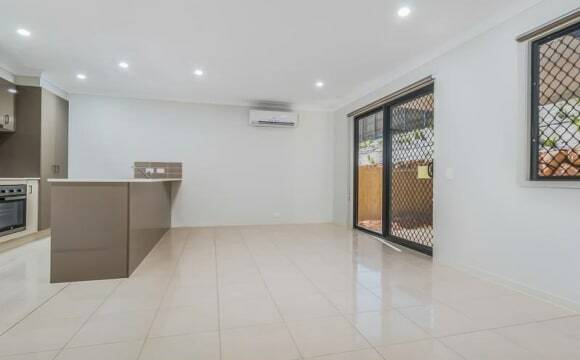 Brand new house with brand new room. You will be sharing this house with me only. Walking distance to Westfield Mall, North Lakes bus station, Aldi and IKEA. 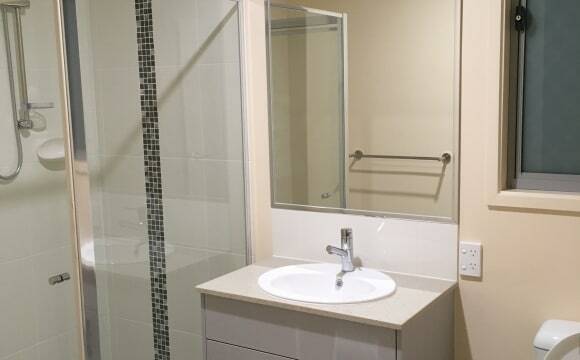 You will have your own bedroom and private bathroom/ toilet. shared study space. Reasonably furnished, you will need your own bed, and linen and towels. You have use of the washing machine, kitchen and fridge space. NBN included. SHORT TERM RENT AVAILABLE UNTIL MAY 25TH. 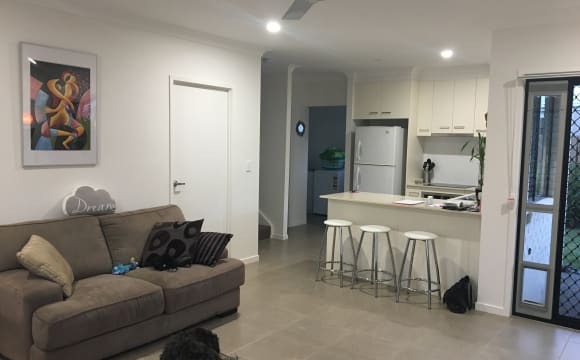 5 min walk to Westfield North Lakes Shopping Centre. Great house with a furnished Queen bedroom available for rent. Queen bedroom suite with quality mattress. Good size wardrobe with shelving and mirror slider. Ceiling fan with remote control. Ducted air con. Shared toilets (2) plus large shower room. Shared with 3 other clean and extremely quiet friendly tenants. All the normal house facilities including furnished lounge with balcony, kitchen area. Lockable bedroom door for your security. Very short walk to Westfield shopping centre and bus and train stations. Ideal for someone who works close by and doesn't have a car. The house is in a quiet area opposite a well equipped park with a Bar B Q.. Person must have steady and reliable employment. Ideal for worker at Westfield shopping centre. Must have clean tidy habits and be of quiet nature. PLEASE NOTE -THE ROOM IS FOR ONE PERSON ONLY. Not suitable for children or pets. Included is electricity, water, gas and unlimited NBN. Bond required.. Thankyou. 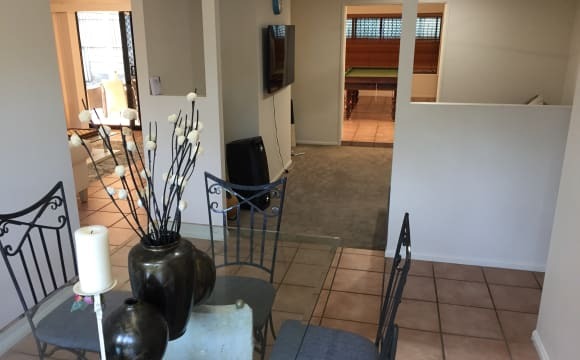 The house has air-conditioning in the lounge room, a great yard, i love indoor plants so i have lots of greenery in the house. I have netflix also. (Both Rooms Available today - please message to confirm availability) A place to enjoy and relax. Beautiful park surroundings. NO SMOKING. Thank you. :) Separate NEW fridge. Rent is including electricity, water, gas and High Speed Internet. Close to public transport, schools and just "few minutes walk" from Golf course restaurant and gorgeous park surroundings. Just few mins drive OR walk to nearby shopping plaza with major supermarket and medical with pharmacy. Also....a LARGE shopping centre with NEW shops and CINEMAS and restaurants just literally few minutes drive or by bus or bicycle. Lodger ROOM 1: Comfortable QUEEN Ensemble Bed. Fully furnished. Beautiful large porcelain tiles throughout. No carpet. High Quality furniture. Lovely garden views. Beautiful Day and night. Spacious and Clean. Rent including water, gas, electricity and high speed internet. Just 250 per week(single person). 300 per week (couple). Lodger ROOM 2: AVAILABLE TODAY: Comfortable DOUBLE - or - QUEEN(with pillow-top) Ensemble Bed (depends on room availability). Fully furnished with table for computer(if needed). Carpet throughout. Quality furniture. Lovely garden and park views from balcony. Beautiful Day and night. 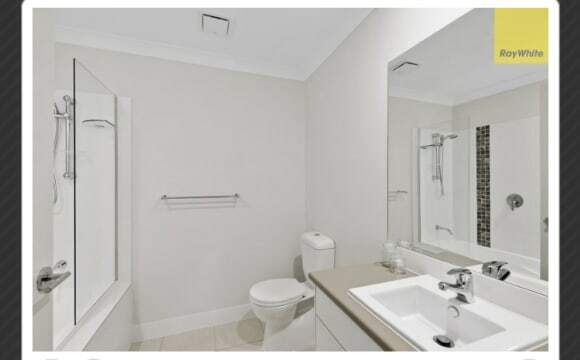 Spacious and Clean with larger shower! beautiful vanity and a Larger mirror! Rent including water, gas, electricity and high speed internet. Just 200-220 per week (single person). 300 per week (couple). 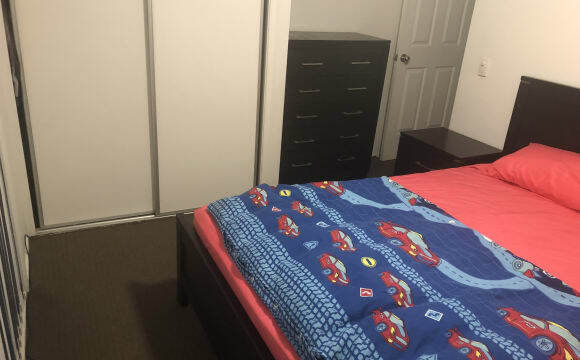 Female or Male: Professionals, or Working Casuals, Part-time or Full-time employed Teachers, Doctors, Nurses, etc...., please contact today/soon to check availability of the room. Thank you. SHORT TERM or LONG TERM. - CLEAN, MODERN and spacious place. No BOND. House Rules apply.